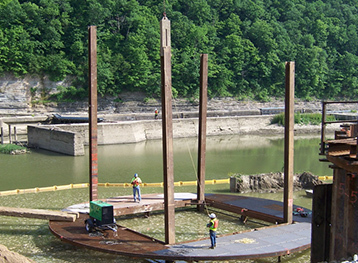 This project consisted of the replacement of Lock & Dam #9 on the Kentucky River with a new sheet pile dam. 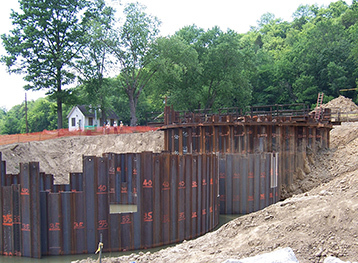 The new dam consists of eight steel sheet pile circular cells with seven inch steel sheet pile connector cells. 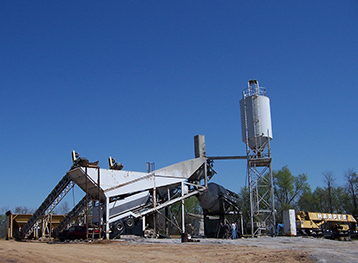 The cells were filled with concrete that was produced by a batch plant set-up near the site solely for supplying the project. The project also included a drilled shaft closure cell that was filled with concrete. 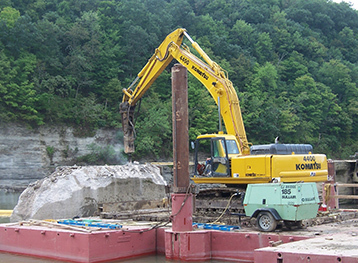 Upon completion of the new dam, portions of the existing lock and dam were demolished. The lock gates were removed and preserved on-site for their historical significance.